Thoroughly wash all food before feeding. Cut food into small, bite size pieces. Be careful with sugar and insulin resistant horses. Consider substituting foods with high sugar content with these tasty treats instead: celery, hay cubes, apple peels, watermelon rinds, and iceberg lettuce. As with all treats, moderation is best. 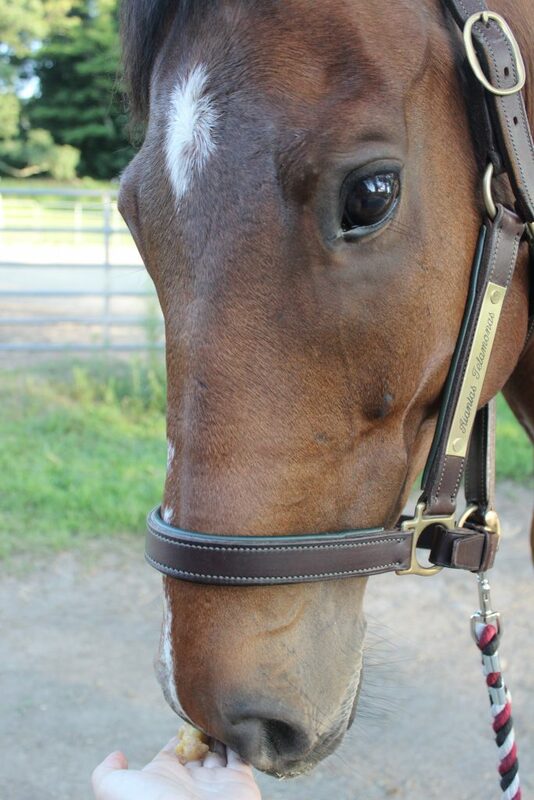 Feed your horse in small increments as to not upset his stomach. These plants could be deadly or poisonous if given to your horse; do not feed the items on this list. 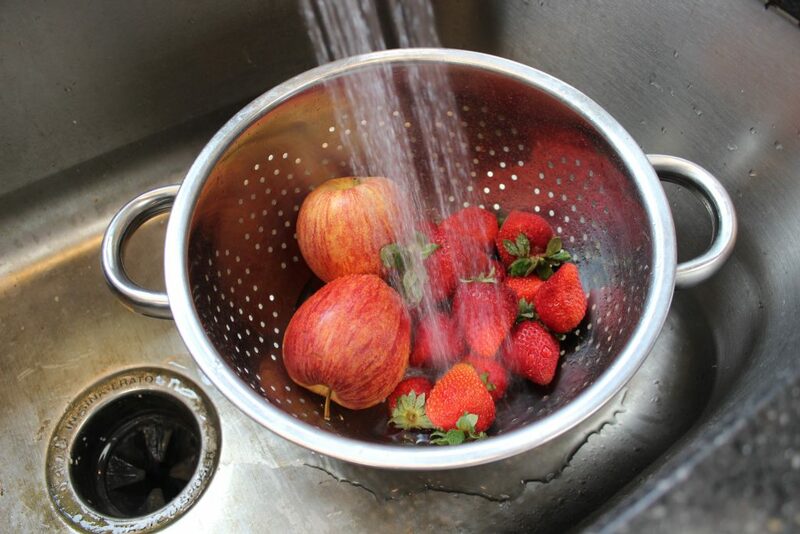 Thoroughly wash your fruits and vegetables. We recommend using treats that will not become too soggy while melting in your horse’s water bucket, such as celery, carrots, and lettuce. 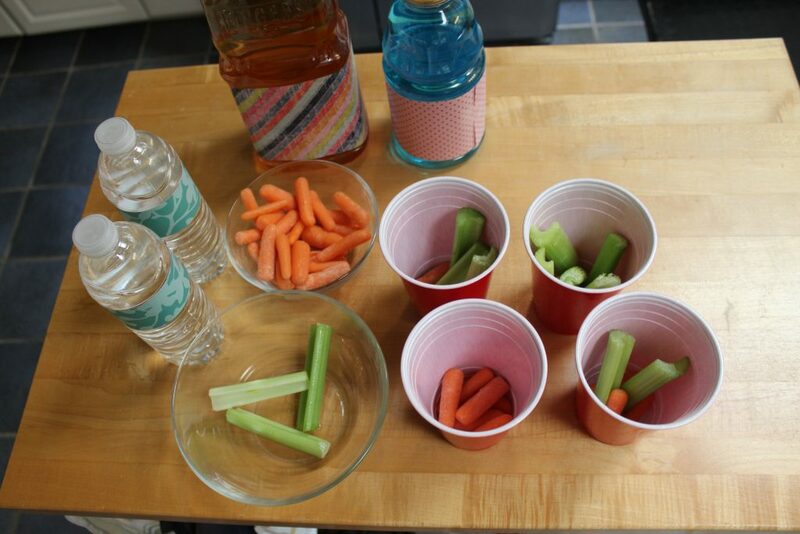 Place as many or as little fruit and vegetable pieces into your cups or popsicle mold as you want. Fill your containers with your liquid of choice. 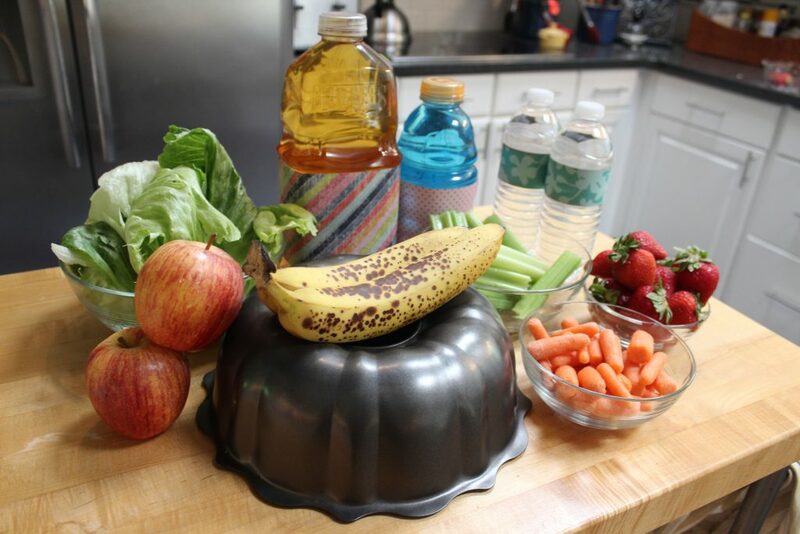 If you are using a liquid other than water, make sure to dilute it so it is not too sugary. 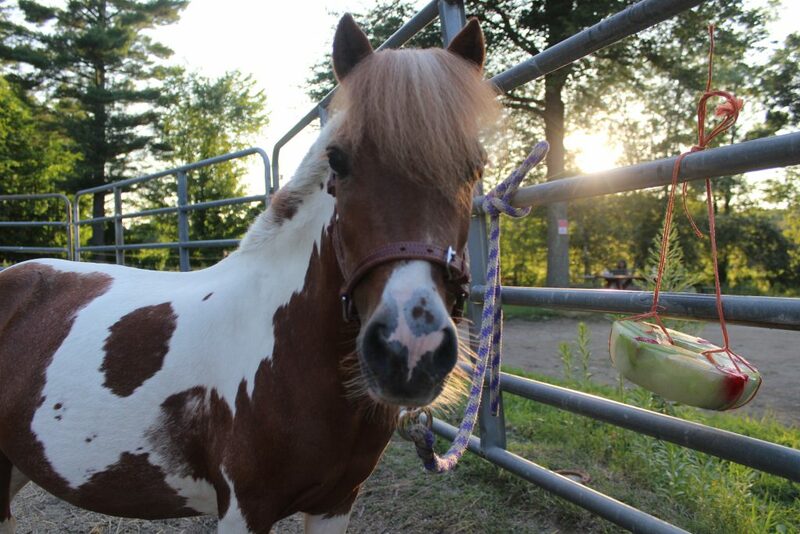 Place in your horse’s water bucket in their stall or paddock and let him enjoy a nice cool drink with a surprise! Make sure to keep one bucket of clean, plain water available to your horse at all times. 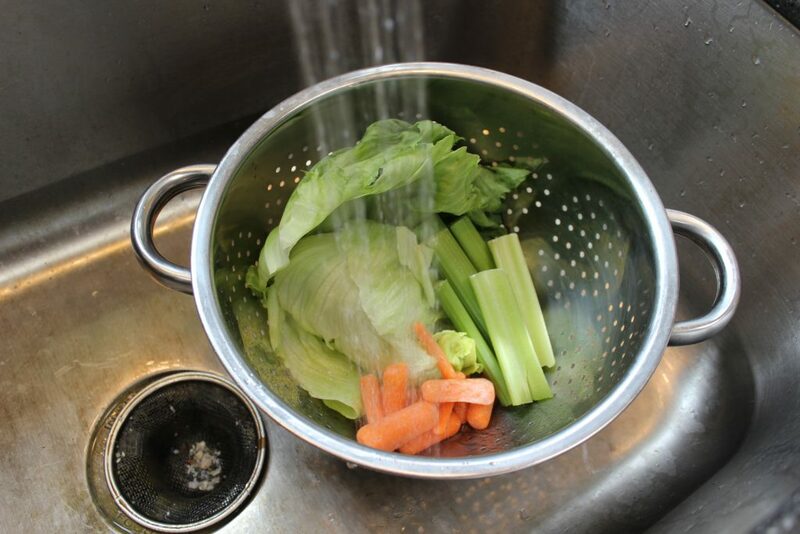 Cut your fruits and vegetables into very small pieces. 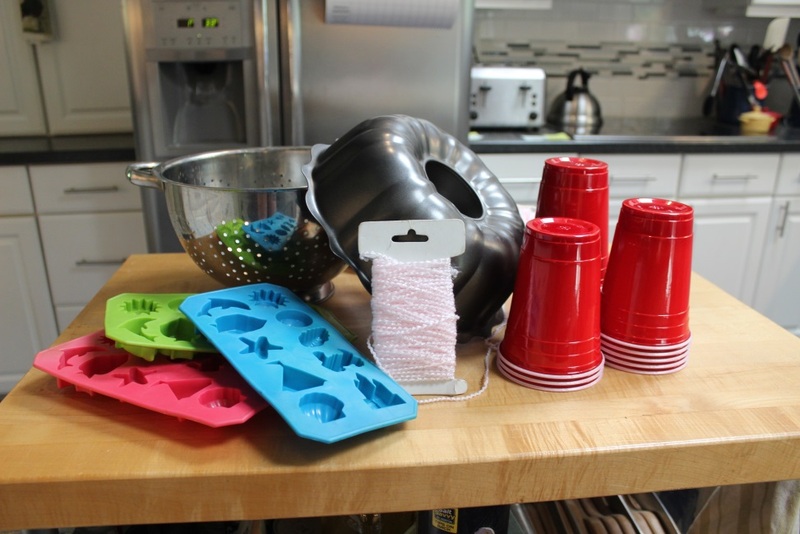 Place a few of these pieces into each ice cube mold. 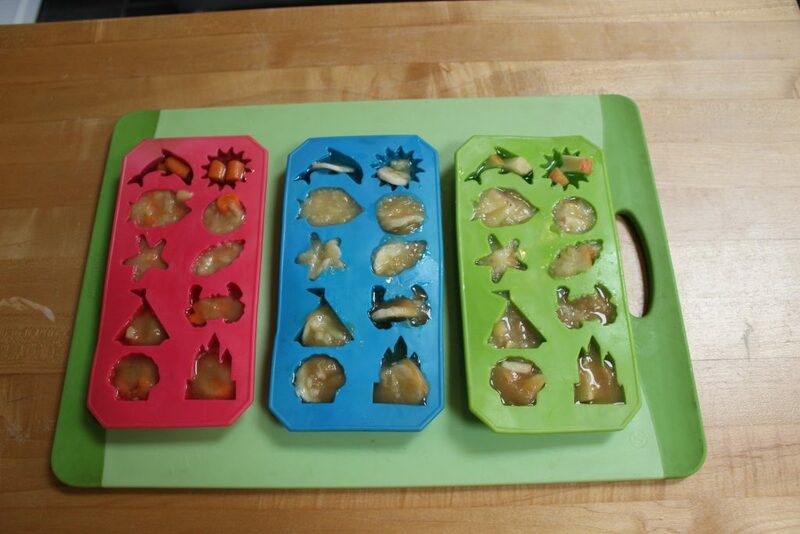 Fill the rest of the tray with baby food puree or applesauce. Feed treat after exercise on a hot summer day! 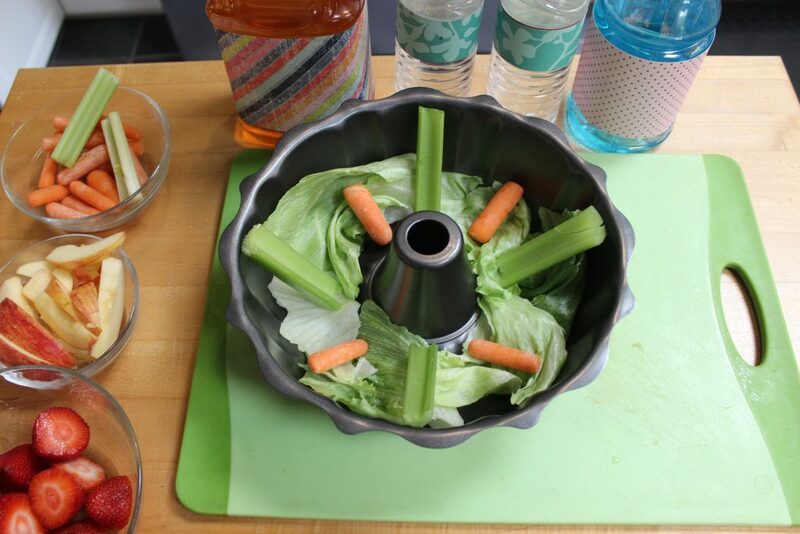 Cut your fruits and vegetables into medium sized chunks. 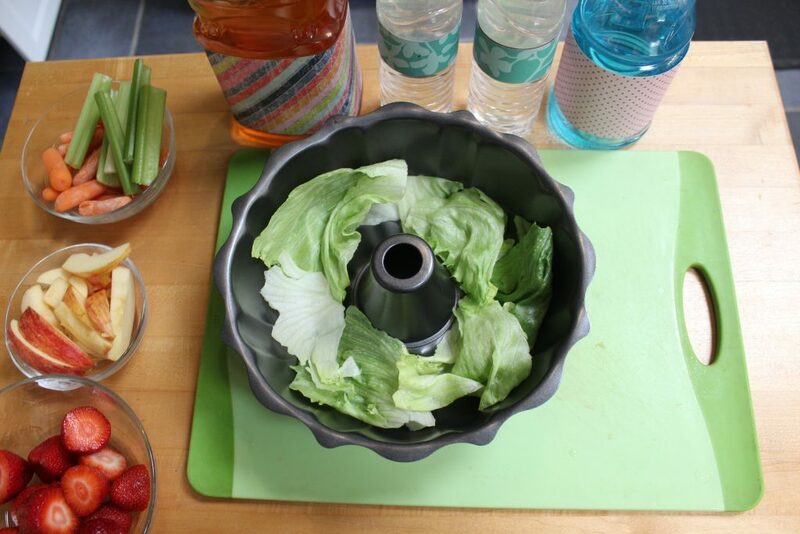 If you are using iceberg lettuce, separate the head into individual leaves. 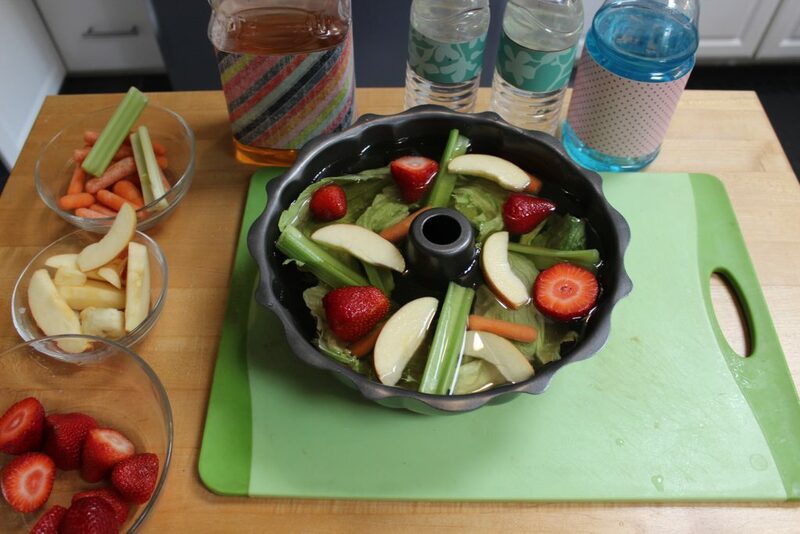 Layer as many or as few fruits and vegetables into your pan as you would like. 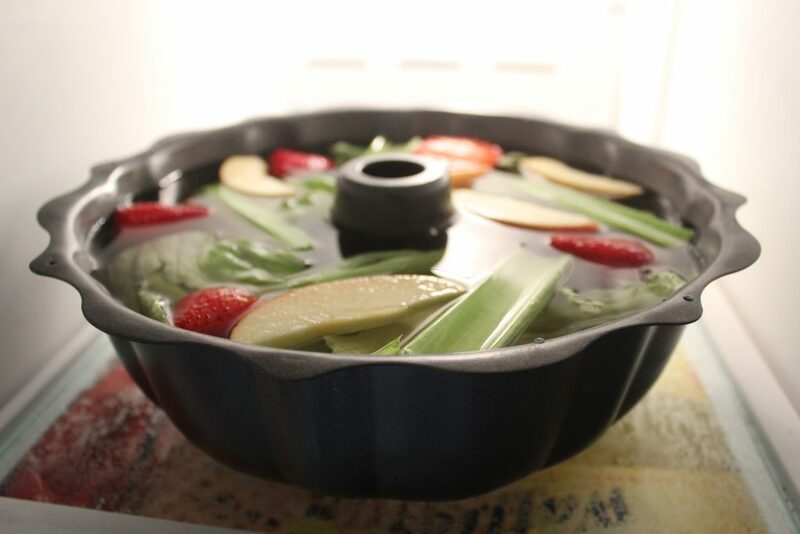 Fill your pan with your liquid of choice, diluted with water. Make one large hanging treat with your Bundt pan or hang up several smaller doughnut shaped rings in a row for different flavors! 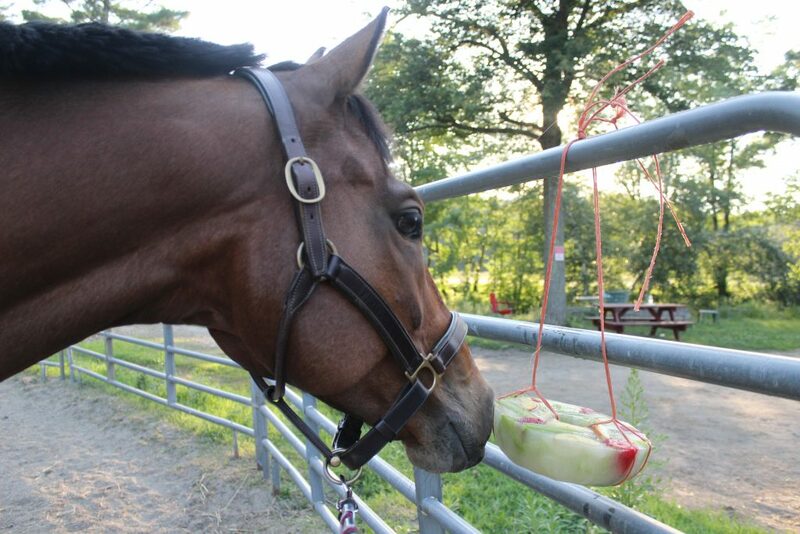 Hang the frozen treat in your horse’s stall or paddock with baling twine or rope. We encourage you to mix and match combinations of fruits, vegetables and juices to find one that is your horse’s favorite. Not only do horses love a nice cool treat, so do many other animals around the farm! 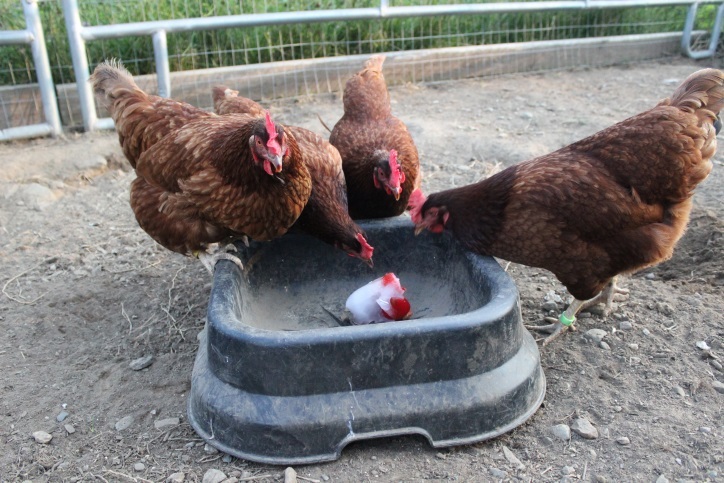 Show us your animals beating the heat and enjoying their popsicles on Facebook and Instagram! 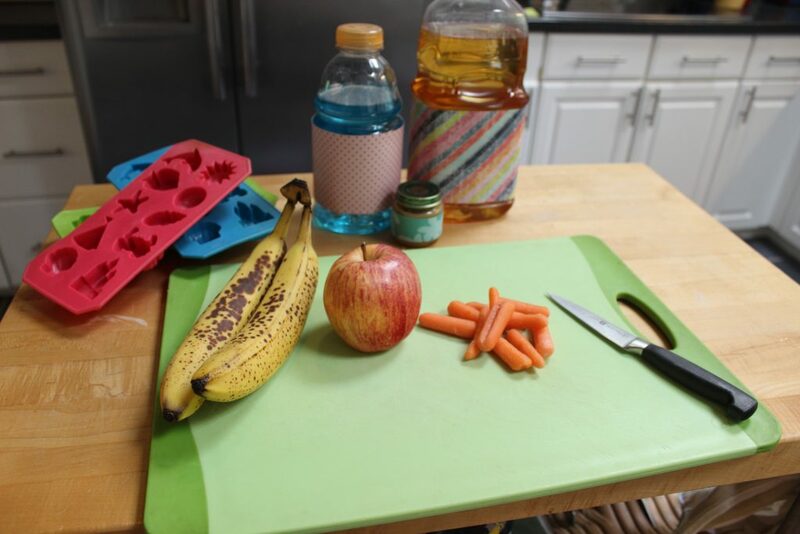 This entry was posted in Treats and Fun DIY and tagged diy, do it yourself treats, dover saddlery, horse popsicle, Horse treat, treats by Dover Saddlery. Bookmark the permalink.